← Arsenal best 11 in 2017: Szczesny in goal, Jack in the hole, Stones CB, Akpom CF? Just over a year ago, Francis Coquelin came off the Charlton bench to play against Leeds. Our DM destroyer had just joined The Addicks on a month’s long loan and many of us, me included, thought we would sadly not see him back in an Arsenal shirt. 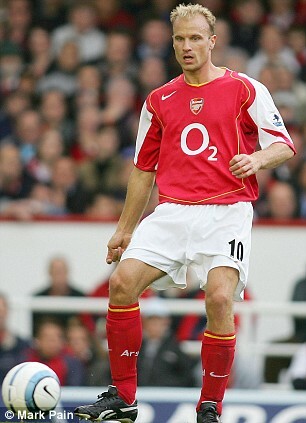 Many of us had liked him a lot but we were just not sure whether he would be tough enough for the PL. It also looked like Arsene was trying to move away from a typical DM towards a more well-rounded, multi-functional midfielder in the deeper midfield role (Arteta, Ramsey). Francis had previously spent a considerable time in Germany playing for Freiburg but, by all accounts, this was not greatly successful. He did not get many chances to play for Arsenal before his short loan spell at Charlton, but an injury to Ramsey and other midfielders made Wenger recall him in December 2014, and after a few appearances as a sub, he played the full game against West Ham at home – his first start in almost two years. He took this opportunity with both hands and feet and never looked back. Since this game, he has established himself as a first team starter and led the league in defensive interceptions made, one-on-one duels, and placed second in tackles made. What an astonishing transformation! It truly is a small miracle how our French midfield beast has taken his opportunity to shine and impress us all so much over the last twelve months. I can watch any match he has played in again and again, and just concentrate on his game; that is how good he is. He is the ultimate protector of our defence and perfect ball feeder for our more attack-minded midfielders. Although I see him mostly as a typical DM, a position he (and I) cherishes a lot, Francis also has good all-round football skills to make him quite the complete package. Slowly, he is developing into the sort of DM Wenger really wants to have at Arsenal: one that can defend but also support the attack (and with Ramsey he is trying the reverse btw). It also must be said that Francis’ ability to develop a strong partnership with the self-reinvented Santi, is just as key for his miraculous progress. The Wall of CoCa has been pivotal to the recent success of the team, and together they have found a great balance between supporting the defence and linking up with the attack-minded players. Santi is not a natural defender, and this will always be a weakness for him, but he reads the game well and is very good at keeping hold of the ball and releasing pressure, once he is in possession of it – and he can do this in the tightest of spaces. The Spaniard’s ability to play a quick and accurate through-ball, with either leg, is of course also a key attribute he offers to us. But Santi needs Coquelin to cover for him when he vacates his position and pushes forward. Francis’ phenomenal ability to read the game, make crucial interceptions, win one-on-one duels on the ground and in the air and great tackling skill, make the Wall of CoCa so effective: together they are more than the sum of these considerable parts. We have also started to notice a Vieiraesque ability to lead. Francis is both calm and introvert – his more natural demeanour – and takes the lead and is very vocal at the same time: just like Vieira used to be. He also uses his (by some still undervalued) physicality to the max without getting nasty. He is hard but fair and seems to have a lot of respect from his fellow players as well as his direct opponents. This is an amazing achievement in just twelve months of regular first team football and shows he has great potential to become our captain at some point in the future. I love it when a genuinely great guy and committed sportsman finally comes good, and this is certainly the case with Francis Coquelin. And, it should also provide all those hard working young players out there who are currently struggling to establish themselves at their clubs with hope that things will turn round for them eventually. Coquelin has produced his own fairy-tale: Francis, I salute you! This entry was posted in Uncategorized and tagged Arsenal Best 11, arsenal values, Cazorla, coquelin, defence, midfield battle, premier league, Youth Academy. Bookmark the permalink. 11 Responses to Coquelin’s Fairy Tale: From Charlton Bench to Arsenal’s DM Beast… to Future Captain? TA, good post about Le Coq. He is a very good example of our academy and what the young lads is capable of. And definitely he is in Le Prof’s notebook in becoming a future captain. Aim for year 2017 to be captain? LeCoq has been a pleasant surprise to be sure. As has Bellerin, and even Monreal– to a degree. when that plan is going quite right. we’re seeing the crafting of a real team, in real-time. but the rounding of the rough edges is becoming a finer and finer process. The AFC is being positioned by AW as a force for the foreseeable future. LeCoq as LeCapitan? Why not? when others had all but given up on him? He believes in himself– and making more believers with every passing match. as much as he’ll grow into and assume the role. It’s all a far cry from the last “big” match I remember Coq starting…at Chavs, in the snow, in January of 2013. In that one he was paired with Diaby and the match turned on an early penalty. Far up-field, Coquelin lost the ball to a Ramires stamp.. He went to ground–in somewhat theatrical fashion–but the call was not given. (Replays showed he was first to the ball.) Chelsea broke forward quickly and went ahead through Juan Mata. A Szcz penalty (after Coq was late stopping a pass to the open–and diving–Ramires…) sealed that match. That day was a team failing, and, of course, it turned on a missed call from the referee. Still, in the world of goal highlights and finger pointing, Le Coq did not shine. Blame is a game (for many…) and fingers might have been pointed again last December when Le Coq came on to preserve a slender 2-1 lead up at Anfield. We gave that one away (to a very late Skrtl header from a corner) despite being a goal up. Luckily, Wenger persisted with Coquelin and we did much better in avoiding disappointing results with him in the team while we waited for Rambo (and Ozil) to heal. Ramsey actually came back into the squad–as a sub for the Ox who also defended extremely well on the day–in that the City away match, but Coquelin’s defensive work (and the way he vocally organized his mates) was seen as the key. Leaving him out works for me too, DD may not recognize that Le Coq is not just a defender and might be blinded by the number of goals he’s scored for us. (I’m not strong on my maths but zero, I’m pretty sure, is still a number…) His ball skills and range of passes are strong. Moreover, his footwork is very, very solid. It might not be as quite as quick as Santi’s but–in combination with his ability to shield the ball with his body–it exceeds Arteta’s, and, like in that Chav’s match, he beats a lot of opponents to 50-50 balls they think they’re going to get. Tap it away and pull your foot out before the other fellow stomps it will be essential for avoiding injury but also works for getting the refs on our side. Just ask Mitrovic up at Toonies, who was sent off for his indescetion in a moment which turned a match our way… Truth be told, I wouldn’t be at all surprised if our current capitan (el Mikel…) hasn’t taught Le Coq A LOT in this regard; their approach to playing the position, to my eye, looks very similar. Coquelin is just younger and quicker, making Arteta (if he can stay fit and available) not the worst back-up. 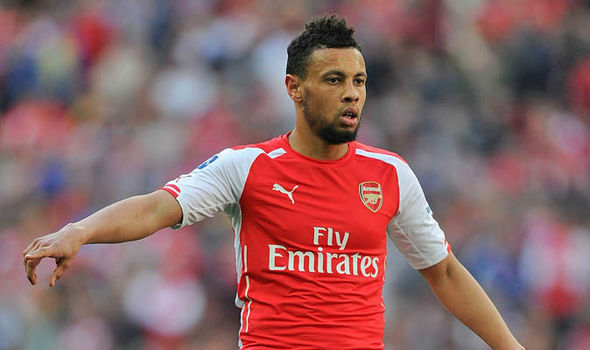 Could Coquelin be a future Captain? I’m with jw (above)…Does it matter?… He looks happy to lead on the pitch so the armband would seem to fit. Often, however, I wonder if it’s not more about language skills (including accents, which can be heavy for French speakers…) so that you can manage dramatic moments with the refs.. (Our last French captain, William Gallas, didn’t work out so well…) The current captain-by-committee approach works for me (that’s how we did things on our frisbee teams, after all…) but Le Coq seems as well placed as anybody among the under 25 yr old guys in the team as time wears on. If he’s recognized by his National team and does a job for them, I could definitely see it happening… Rambo–when he’s not admitting that interest from Barcelona is flattering–says he wants the job… . as much as he’ll grow into and assume the role.’ Really nicely put! Excellent point about Le Coq knowing how not to get injured. I have just written something linked to tonight friendly between England v France. I will read your post now and see whether it can wait till after the game.